For optimum durability of our logos on your apparel, it is important to follow the guidelines set up by Polygraphic. Please note that these are general guidelines that can vary per fabric used. For the best result, please always let us advise you! 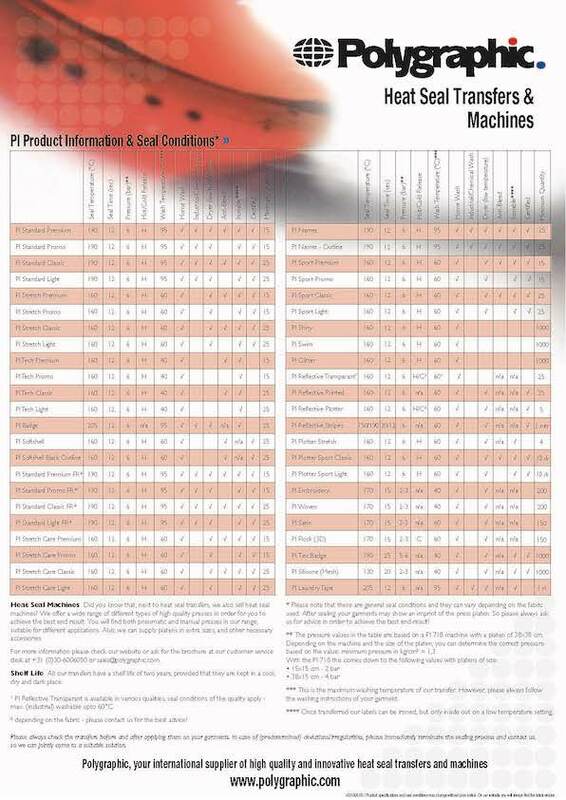 The pressure values in the table are based on a PI 718 machine with a platen of 38x38 cm. Below you will find an overview of our complete product range of heat seal transfers with the corresponding (general) seal conditions. Click here to download the document.